What the heck does outside the box really mean? 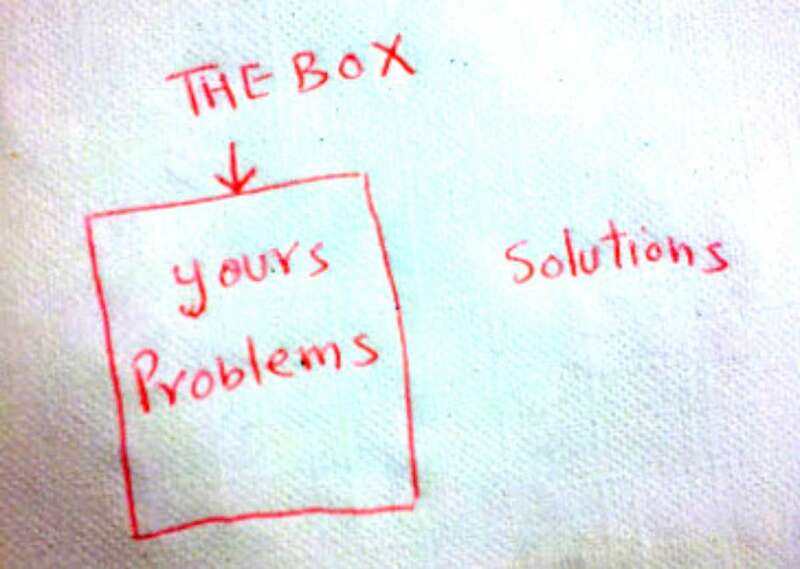 We hear the term “thinking outside of the box”, but they say that in the “traditional” corporate world all the time! If fact, to some, that would be an oxymoron! In order to have an extraordinary life, you can not do the ordinary things that “everyone else” does – which is “stick to what you know”, having a job or small business that consumes all of your time. Most people are not free. Many people love the word “no”. They say NO to most things before they even KNOW what they’re saying NO to!! I constantly imagine what my life would look like if I wasn’t open-minded enough to try new things. Skateboarding, snowboarding, and new ideas in business, took me down a path that most will never know about. A Dream Life! I was on the “normal” route like many others, living paycheck to paycheck, struggling to pay bills and “get by” that month. I worked for someone else, making someone else rich, and wondered why I wasn’t rich myself! If I didn’t change, I may have never lived all my dreams of traveling, making tons of money, and having real freedom. If I would have been closed-minded, saying “no, I’m not interested”, I would be slaving away in some building for the last 14 years of my life, owned by my businesses or job, not having any freedom, and getting taxed to death. 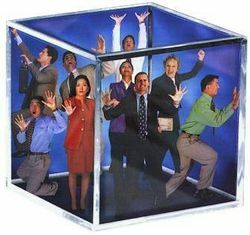 How many people do YOU know that are still “inside the box”, working a regular job or business, wishing they could make more money? Are they even trying to create wealth, or are they just daydreamers? Not being outside the box will cost you a lifetime of hard work for someone else, with no freedom for the rest of your life. Would it be worth it to make a change? – Environment Change: Get around people who are successful and actively trying to create wealth. Learn from them and copy them to get what they have. – Invest in YOURSELF: Work harder on YOURSELF than you do at your day job. (Invest in seminars, courses, books, mentors, self development,etc). – Wealth Books, (NOT school books): There’s a huge difference between WEALTH books and “school” books. Traditional schooling will help you gain a skill that will keep you busy, trading your time for money in the vicious cycle called the Rat Race. You’ll work hard until your 70 years old or dead, without reading wealth books. Wealth books and info will help you gain leverage and abundance. You’ll understand once you actually ead them! – Get OPEN-MINDED to new ideas and opportunities, always: In a fast-paced and changing world of new innovation, we must consistently be open-minded, having the courage to adapt to new business ideas and technology, or you’ll be left behind the bubble. Absorb all information that you can, to stay up with the times, so you can make your own educated decision (don’t say “no” before you KNOW what you’re saying “no” to), to have control in your life and not be a stagnant victim to the future. Create your future rather than being a victim to it. – Use (and build) your existing skills to create extra channels of income into your life/business. Different business ASSETS will create more freedom and abundance in your life. For another article, click here on living inside the box. NOW, when you want to get to the next level in your life, and learn more on living outside the box, contact MFM here on the site. We want to hear your story, and see how we can be most valuable to you. We’ll see you at the beach! M.